The Baraga County Community Foundation has awarded $13,200 in Grant funding in its 2018 Grant Cycle for non-profit programs that support Youth and Elderly, as well as immediate educational and medical dental needs of lower income youth and families in our geographical area and emergency services. Receiving Grant Awards are the Western Upper Peninsula Healthcare Access Coalition for dental care of young persons who are underinsured, St. Vincent DePaul for emergency services for families with children, Little Brothers – Friends of the Elderly for activities and day trips for Elders of our community, Simple Kindness for Youth which provides school activities support for young persons who cannot afford to participate, Bay Ambulance for emergency equipment for Covington Township First Responders, the Baraga County Repeaters Association for emergency communications support equipment, and the Keweenaw Land Trust for open access of wilderness lands. Funding for these programs was provided by the Donald Menard Youth Fund, the Selkey Family Memorial Youth Fund, and the Keweenaw Bay Indian Community Health & Human Services Fund, Endowment Funds of the Baraga County Community Foundation. 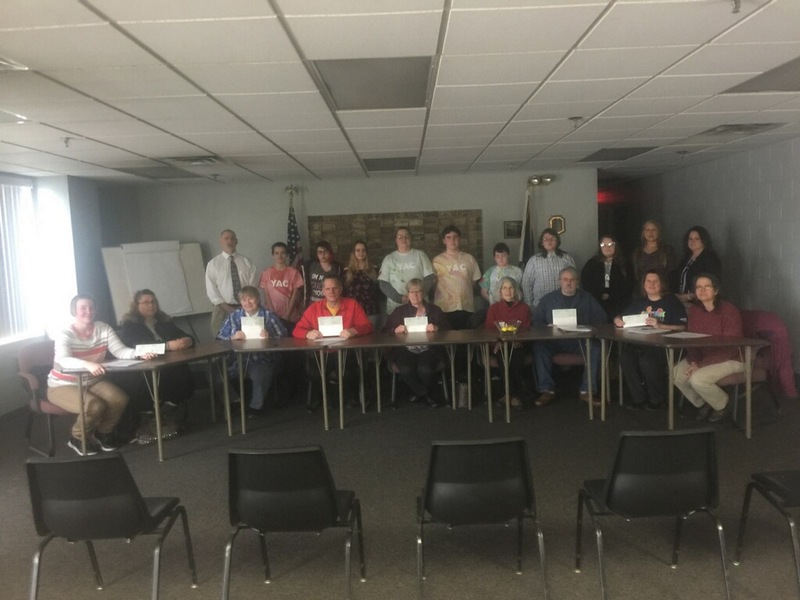 Pictured from left to right, back row are – BCCF Board of Directors Richard Sarau, and Youth Advisory Committee Caleb Sliger, Tristyn Aleo, Sienna Stein, BCCF Board Treasurer Mary Paquette, Youth Advisory Committee Donnie Paquette, Alex Paquette, Jediah Aleo, Megan Huhtasaari, Executive Director Gordette Coté Leutz, and BCCF Board of Directors Susan Tollefson. Front Row, left to right – Western UP Healthcare Access Coalition Carolyn Williams and Sherri Dulong, St. Vincent DePaul’s Georgia Schmidt, Bay Ambulance, Inc. Gary Wadaga, Little Brothers – Friends of the Elderly Cathy Kass-Aten, Baraga County Repeater Association Susan and Brian Ruddy, Simple Kindness for Youth Risa Williamson, and Keweenaw Land Trust Patricia Toczydlowski.